This page provides a detailed overview of radar principles and technologies, including mathematical, physical and technical explanations. 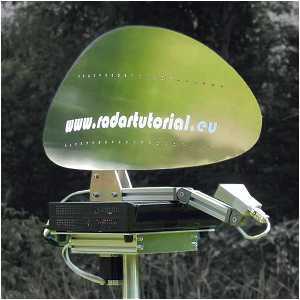 “Radartutorial” explains the fundamentals of radar. Many radar sets are introduced briefly as examples with some technical data. Knowledge of basic technical mathematics is required to follow the examples provided. Each of the pages have been prepared too for printing, all images are additional optimized for bright background color. Some chapters have been summarized as a printer-friendly PDF file. Just click on the following link: Service → Print versions. This homepage has no commercial goals. It was created entirely for educational purposes and serves as a training aid for radar operator and maintenance personnel. The design is deliberately focused on the essentials only. There are no memory-intensive special effects used to ensure a quick page transfer even with very slow internet connections.